Every year hundreds of tourists get married in the Cayman Islands. What they might not realize is that they are going to need their Cayman Registered Marriage Certificate (RMC) when they return home. 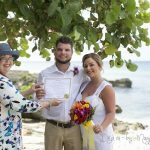 The Registered Marriage Certificate is the proof that you were legally married in the Cayman Islands, and your marriage has been recorded. You will need it to present to Social Security as proof of your marital status, and if you are going to change your name. You will need it to present to DMV (Department of Motor Vehicles) for the same reason. Lastly, you will need to send it off with your other documents to get your name changed on your passport. When you get all this done, and it is returned to you, keep it safe with your other important documents. If it is lost, or you have decided you need another copy, then see below. 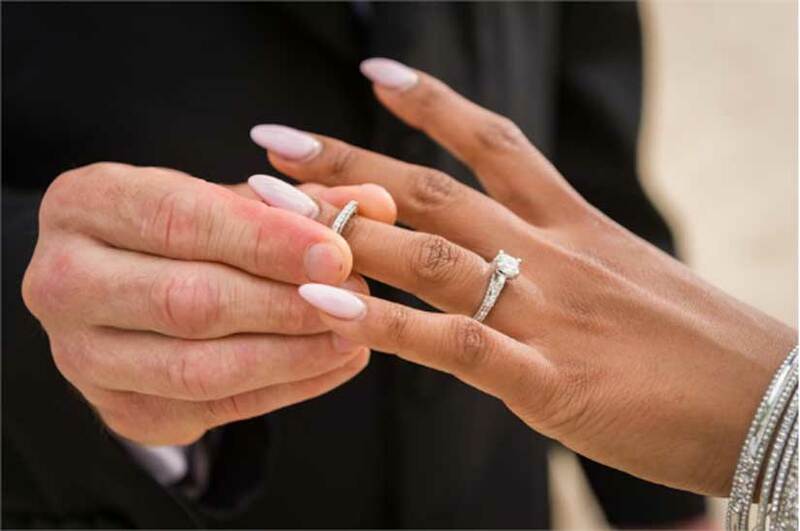 If you were married by Joy Basdeo MBE, JP Civil Registrar of Marriages, or any of the Marriage Officers at Simply Weddings Cayman, you have no problem. The Registered Marriage Certificate is a part of every visitor’s wedding package we sell. Just drop us an email with your names and the date of your marriage to mywedding@candw.ky and we will pop another one in the mail for you the same day, or the next working day. If you were married by another Cayman Marriage Officer, and for any reason did not get your RMC, then Simply Weddings can get it for you from the Cayman Islands public records office, called the General Registry and post it to you. If you were married in the Cayman Islands more than 10 years ago and got the old form of RMC, you might need the new modern version with various secure features like the watermark of the Cayman Islands Crest. Recently the US Passport office, in particular. has been requesting you present the new version. If all you have in hand-written version from your Marriage Officer, while this is valid, it will not be accepted by various institutions and organizations. You should see about getting this replaced as soon as possible. After your Cayman Islands wedding ceremony you sign three documents. These are all copies of the Marriage Register. One of these, usually a decorated one, is presented to you by the person who performed your wedding. Another copy is kept on the Civil Registrar/Marriage Officer’s Marriage Book for that calendar year. The third, most detailed copy is filed at the General Registry by your wedding officiant. This third copy is used to generate the RMC. I can’t stress enough how important it is to ensure that this copy is free from all errors of fact, or grammatical errors. To get your Marriage Certificate corrected after the fact costs time and money. You should not sign your Marriage Register if it has errors. 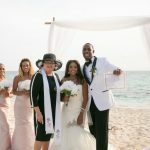 Joy Basdeo, MBE, JP Notary Public, Civil Registrar of Marriages has been officiating marriages in the Cayman Islands since 1994. 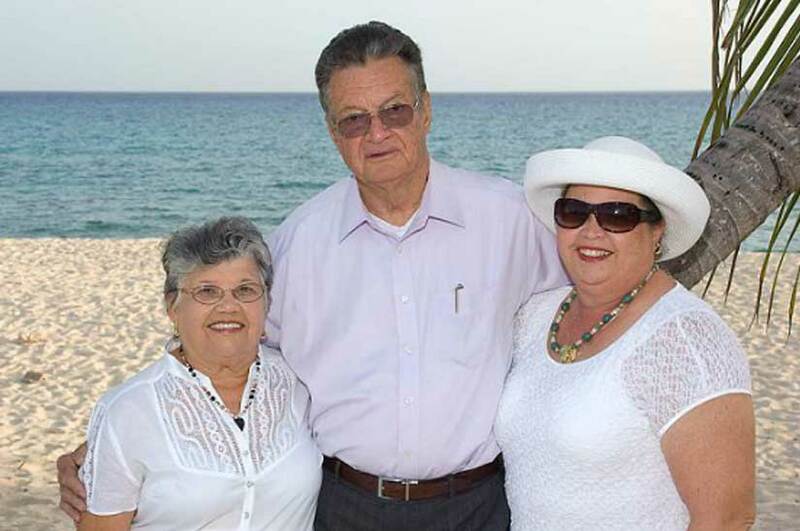 Joy worked for the Cayman Islands Government for over 30 years and is very familiar with its laws, regulations and requirements as they pertain to the Marriage Law. 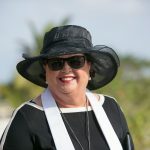 She is Cayman’s best known Marriage Officer, having taken over from her parents Vernon & Francine Jackson of Cayman Weddings. 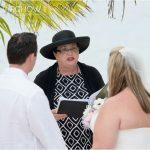 She and her husband, Sam, own and operate Simply Weddings, a full service wedding company on the George Town, Grand Cayman waterfront.